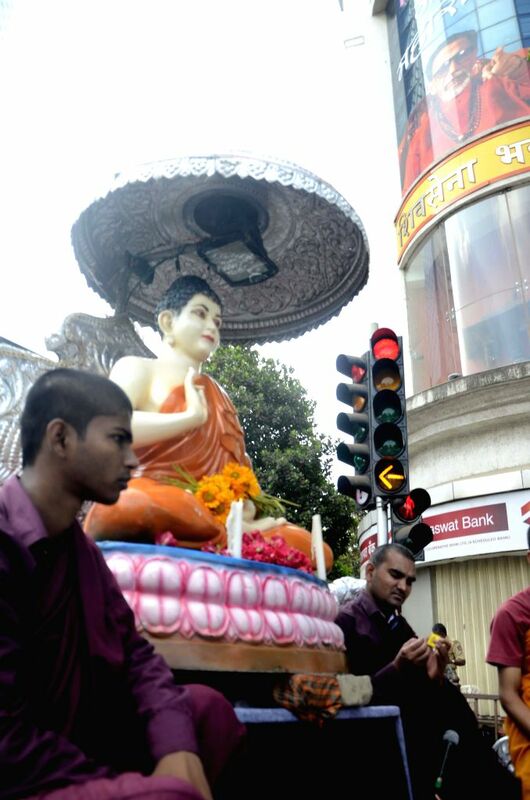 A religious procession organised on 2558th birth anniversary of Lord Buddha in Mumbai on May 14, 2014. 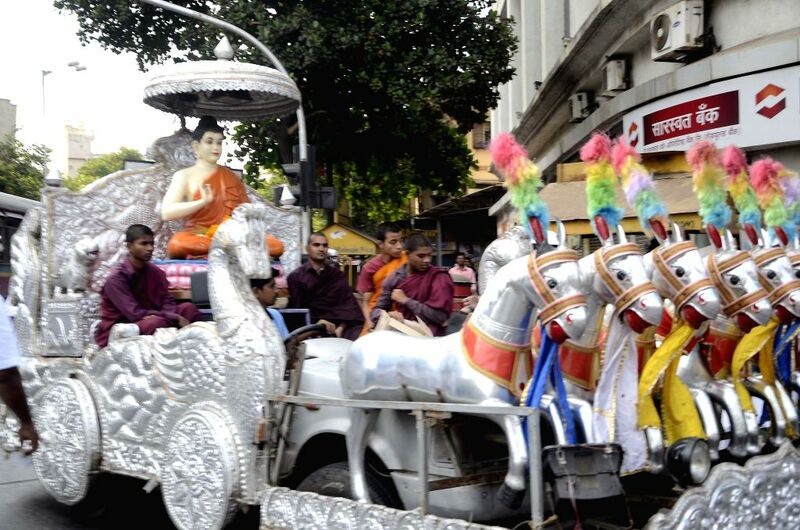 Buddha Purnima is the most sacred day in the Buddhist calendar and celebrated on the full-moon day of Vaisakh (April â May). 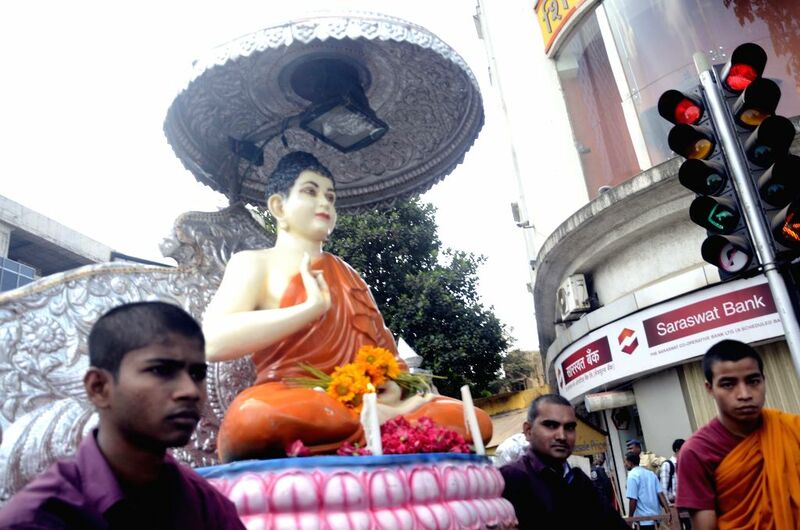 Buddha Purnima is unique as Buddha was born, enlightened and passed away on this day.